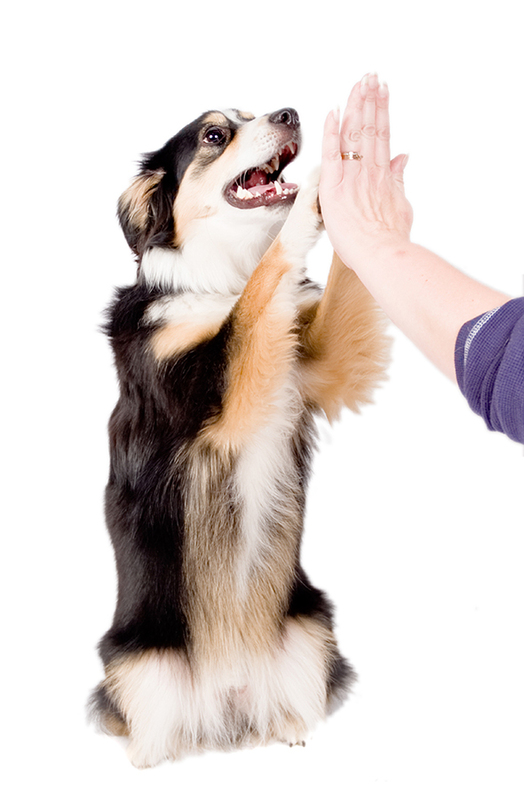 Teaching your dog to 'high five ' is a fun trick to teach your dog, and one that is sure to impress fellow dog lovers. 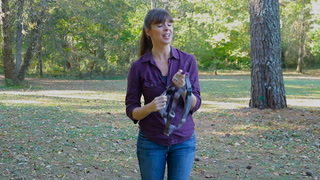 Hold a treat in front of your sitting dog. Wait for her to smell, lick and push at your hand with her muzzle and work out how to get the treat out of your hand. She will eventually bring her paw up to the treat and paw at it. As soon as she does, tell her ‘good girl’ and give her the treat. After a few repetitions add the word, ‘shake,’ or ‘high five’ as she is in the process of doing the action. Keep presenting your hand to her and now as she brings up her paw, put the palm of your hand up to meet her paw. Keep repeating this and you will be rewarded with a dog that high fives you each time you ask.